Dozen of lawmakers and Washington leaders paid tribute to slain Saudi journalist Jamal Khashoggi on Thursday at the Capitol, 100 days after the Washington Post columnist disappeared inside a Saudi consulate in Turkey, pledging to keep his story alive in the fight for global freedom of the press. 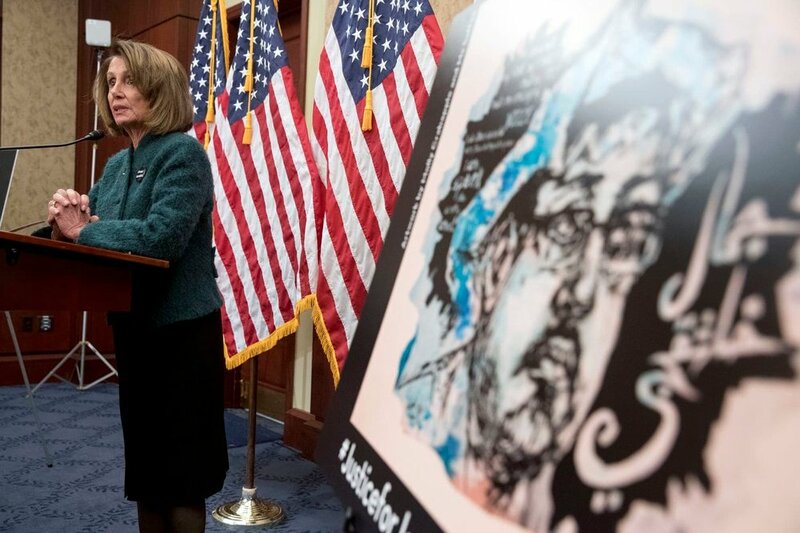 House Speaker Nancy Pelosi (D-Calif.) condemned the Trump administration for its tepid response to U.S. intelligence’s determination that Mohammed bin Salman, the Saudi crown prince, directed the assassination because of Khashoggi’s influential writings in opposition to the government. Paul Kane, writing for the Washington Post, shares this piece on the 100-day memorial of slain Saudi journalist Jamal Khashoggi.